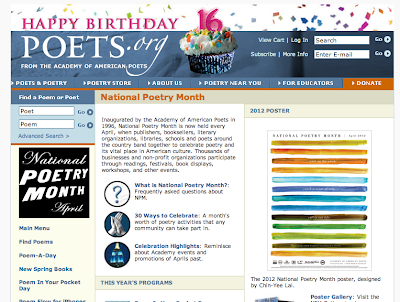 On the Poets.org site it states, "Inaugurated by the Academy of American Poets in 1996, National Poetry Month is now held every April, when publishers, booksellers, literary organizations, libraries, schools and poets around the country band together to celebrate poetry and its vital place in American culture. Thousands of businesses and non-profit organizations participate through readings, festivals, book displays, workshops, and other events." 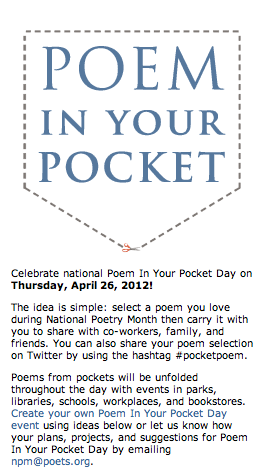 One of the BEST events that they promote is Poem In Your Pocket Day...this year being held on April 26. 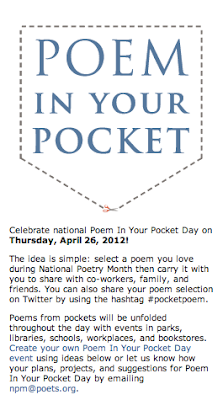 On this day, everyone is encouraged to find a favorite poem or write a new poem and put it in your pocket. 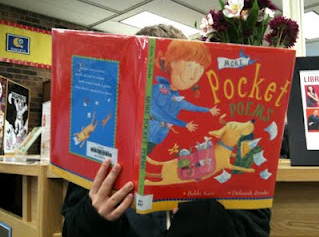 Last year, Shannon Miller and I celebrated Poetry Month and Poem In Your Pocket Day together for the first time. 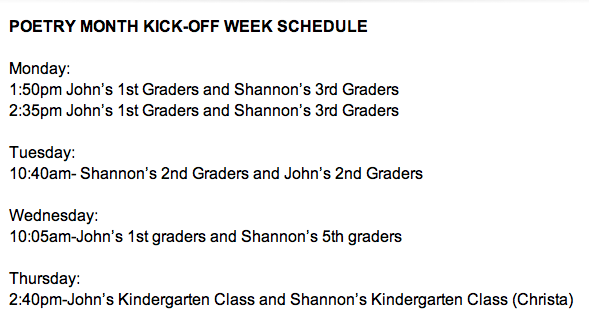 You can see how we celebrated by watching this Animoto of the special day at Brook Forest and Van Meter. 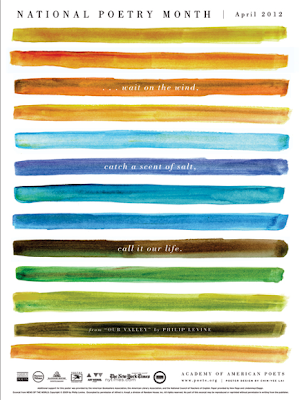 Throughout the day, we shared poems and celebrated poetry. 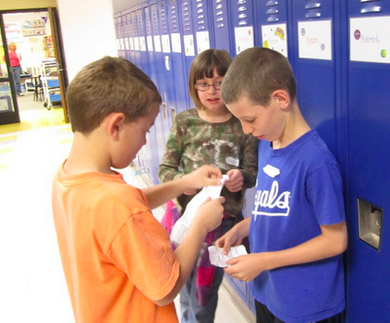 It was a blast seeing everyone in our schools and friends around the world get involved in this day. 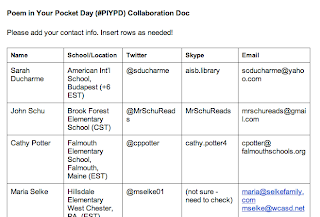 We worked in the Google document that we set up for Poetry Month a few weeks ago. 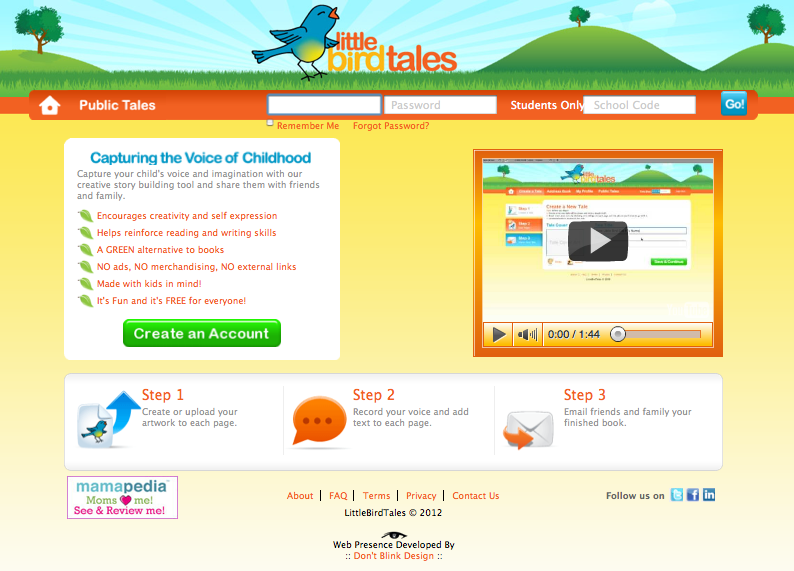 Through the chat feature and by writing in the document itself, we were able to plan some very FUN celebrations, projects, and connections. We will be creating Spine Poetry again with our students. We will turn the photos into a collaborative FlipBook that will be shared with our schools and friends. 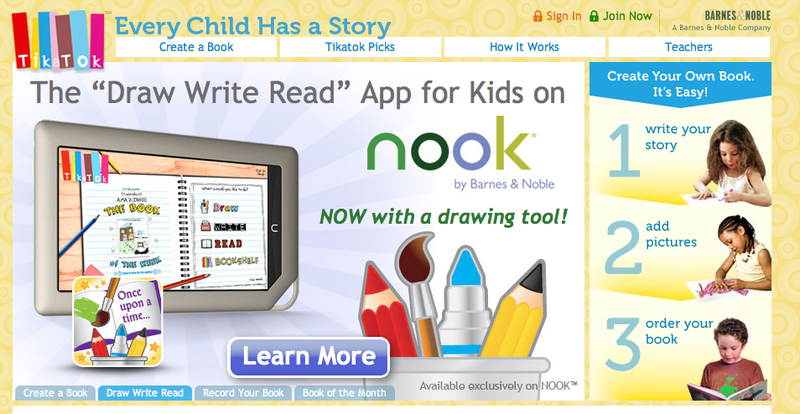 Tikatok eBooks featuring poetry and illustrations they create. 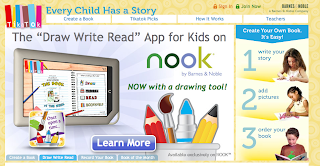 We will also be using our iPads and iPods to create poetry. 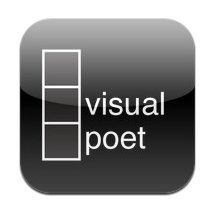 We will use apps like Visual Poet. 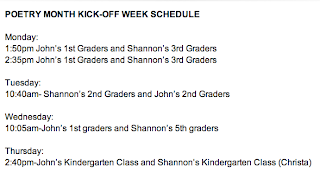 We found time to connect each day this week with different classes to celebrate the kickoff for poetry month. 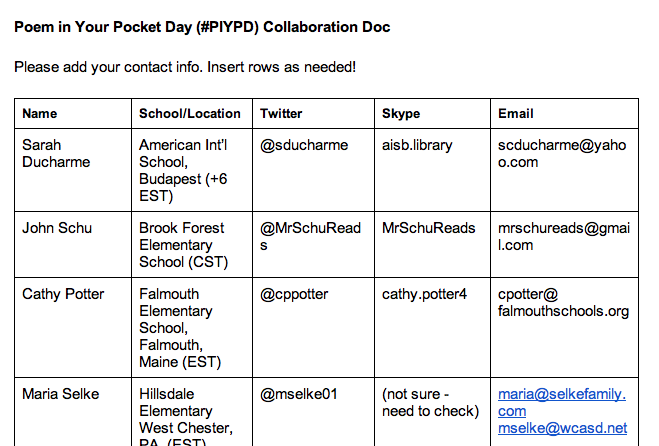 During these connections we will discuss Poetry Month and Poem In Your Pocket Day, show the Animoto from last years celebration and tell our students how we are going to work together to create digital eBooks, poems and other art work. 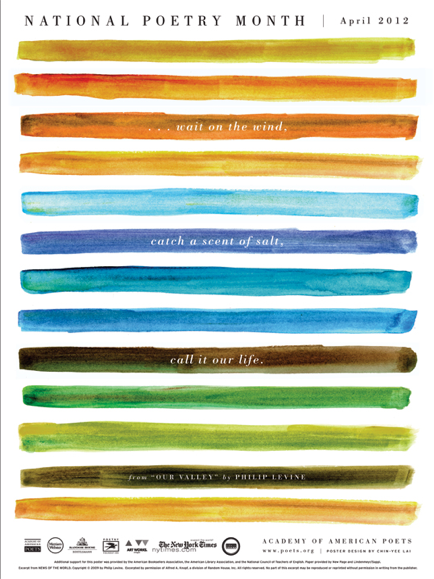 And of course....we will be sharing a little poetry with them too. This is going to be a wonderful month. 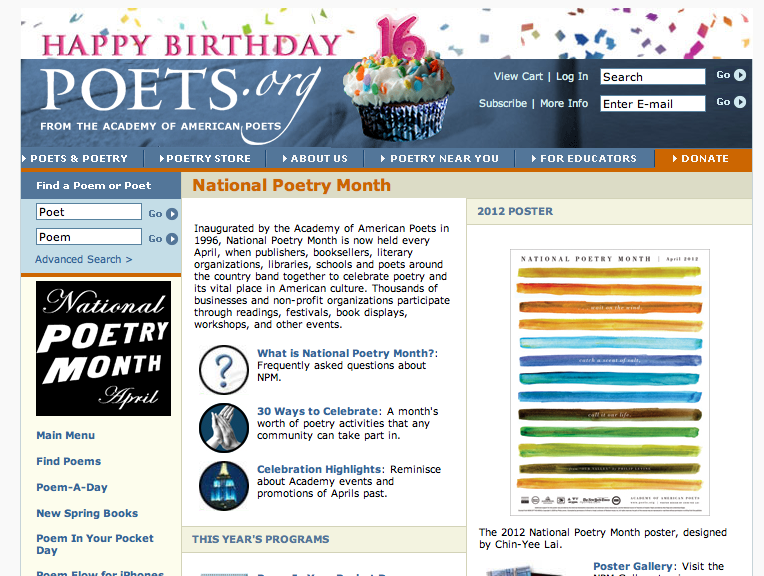 We can't wait to hear you are going to celebrate National Poetry Month. I love National Poetry Month. I'm "celebrating" by posting an interview with Caroline Starr Rose and a giveaway of her new book May B. on my blog, soon. 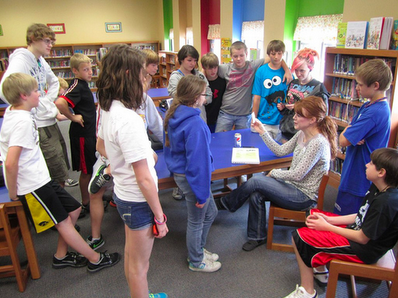 But I really miss being a school librarian this time of year. I always hosted a Poetry Assembly, encouraged keeping poems in pockets, did lots of fun reading and writing activities (one involving eating potato chips...). 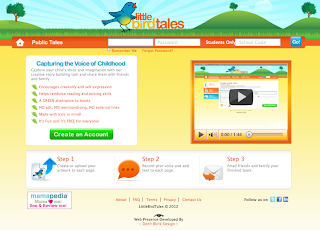 Thanks for sharing the fun you are having!